Update: Even more evidence of a refresh, the existing MacBook Pro models have a 3-5 day shipping delay. Yesterday Best Buy’s internal inventory started showing SKU’s for the MacBook Pro 2011 refresh, and now they’re appearing publicly on BestBuy.com. There aren’t any details or specs listed alongside the new units, just the SKU and price tag, which both match yesterdays info, strongly suggesting this is the MacBook Pro update. We took a few screenshots since these will probably be pulled from BestBuy.com quickly. 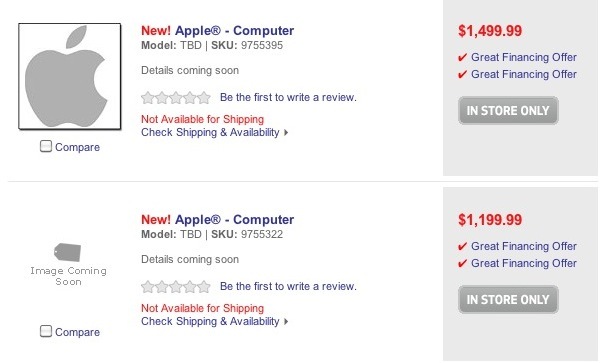 Each entry is listed generically as “APPLE COMPUTER INC. – New SKU” with “Details coming soon” in place of hardware specs. So if you had any doubts that the MacBook Pro was going to get an update very soon, this should answer it. Sure, it’s possible this is just a mix-up on Best Buy’s part too, but come on, who believes that? 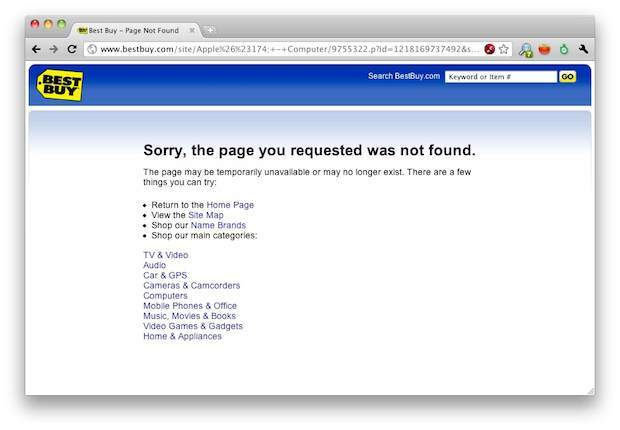 Update: That was quick, some of the pages have been pulled already! You can try to find the remaining ones by searching BestBuy.com for the SKU numbers, but they probably won’t be up for long. only the top three models are showing, maybe this means the 13″ is getting killed off?